This soup for me is Autumn in a bowl. I feel like it gives you a hug from the inside out, perfect when it is a grey, cold, rainy day. When I lived abroad, I missed the changing of the Seasons so much. I love seeing the changing of the colours and getting wrapped up to go for walks in Autumn. And if I’m totally honest, with it being Autumn, I get to treat myself to a new pair of boots!! Which girl doesn’t love a new pair of boots or shoes? Butternut squash can be a bit of a pain to prepare with peeling it and scooping out the seeds. Not to mention, having a lot of arm power to chop it up – although that can quite a good stress relief! However, roasting the squash whole makes preparation so much easier as the flesh goes lovely and soft which is ideal to use in soups. If you are not a fan of too much heat I would maybe start with half a chilli and see if that works for you. 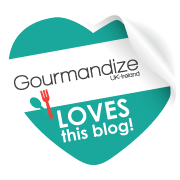 I personally don’t find a whole chilli too hot, it just adds a nice heat to the soup without overpowering the other flavours but everyone has different heat thresholds so adapt the recipe to your liking. You can also swirl some yoghurt into the soup when serving it to take away some of the heat. 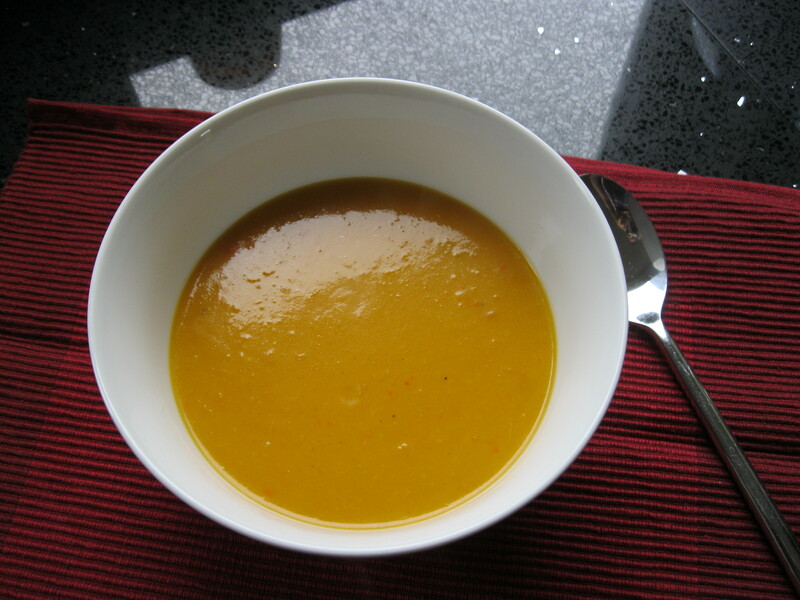 This soup freezes well so is ideal when doing batch cooking to stock up the freezer. Very handy to have when you’re short of time and want something warming to eat asap! 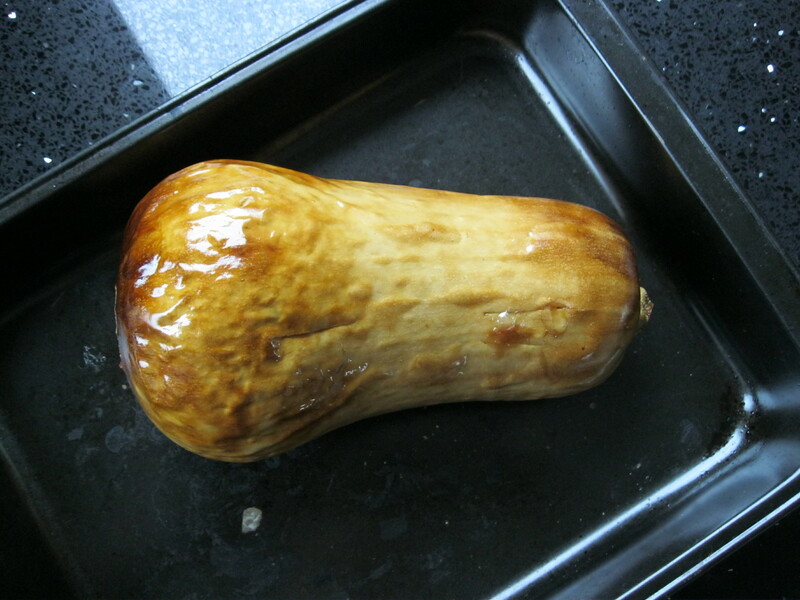 Put butternut squash in a roasting tin and roast in oven for 1 hour to 1 1/2 hours. Squash are done when you can pierce them with a knife and the flesh feels soft and knife glides through. Leave to cool. Once squash are cooled, slice in half and scoop out seeds and discard. Scoop out flesh and set aside. 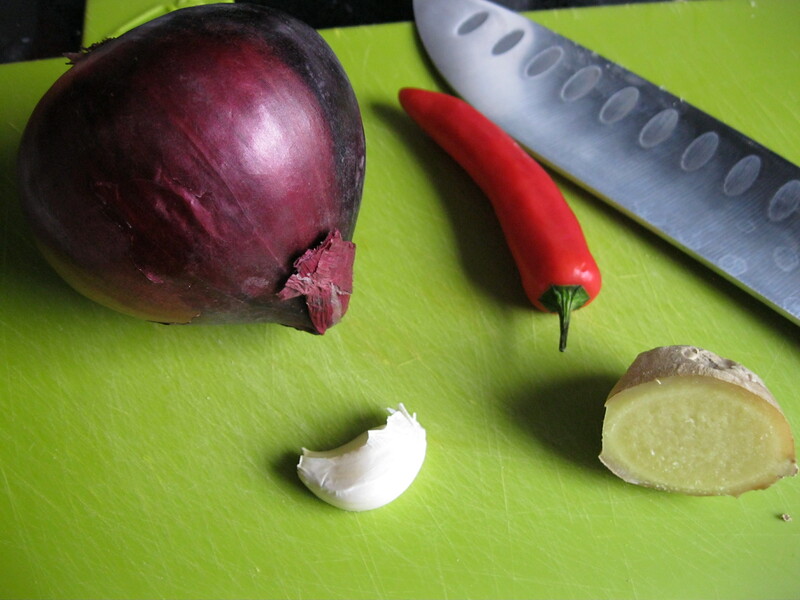 In a large saucepan heat the coconut oil over a medium heat and add onion. Cook onion for a few minutes until starting to soften. Add garlic, ginger and chilli to the pan and continue to cook until all are softened. Add the butternut squash flesh to the pan and mix well. Add the coconut milk and vegetable stock. Bring to a boil then simmer for 10 minutes. If freezing, decant into suitable containers and allow to cool before putting in the freezer.